Daniel Barenboim asks what is the role of music in life in this year’s lecture in memory of Edward Said. In 1999 Daniel Barenboim and Edward Said founded The West-Eastern Divan Orchestra, bringing together young musicians from Palestine, Israel and surrounding Arab countries. The orchestra projects a possible Middle Eastern future based on coexistence, equality and shared creativity. In 2002, Daniel Barenboim and Edward Said were awarded the Príncipe de Asturias Prize in the Spanish town of Oviedo for their peace efforts. 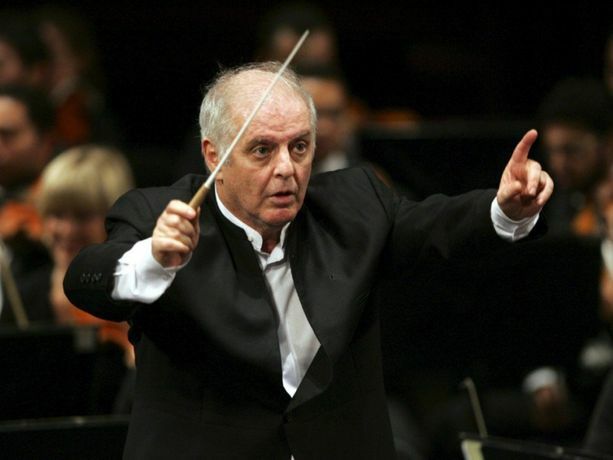 Barenboim is an award winning, internationally acclaimed pianist and conductor. In delivering the 2015 Edward W Said London Lecture, he will follow in the footsteps of Marina Warner, Rashid Khalidi, Ahdaf Soueif, Noam Chomsky, and Raja Shehadeh. This annual event that is designed to emphasise the forward-looking nature of both Said’s work and this venture. It gives his legacy a public platform in the very heart of cultural and intellectual life in the UK. The Edward W. Said London Lecture is presented by A.M. Qattan Foundation/ The Mosaic Rooms and the London Review of Books.